It's hard to believe the holiday season has come and gone! 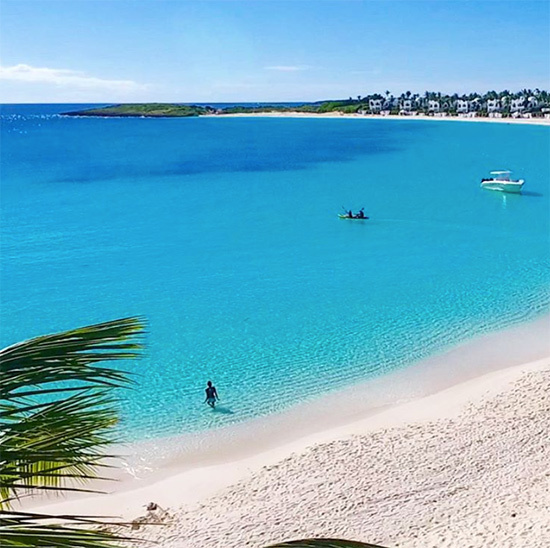 From yachts moored off of Meads Bay, to jets packed at the Clayton J. Lloyd Airport, all has returned to 100% normal Tranquility Wrapped in Blue here in Anguilla. 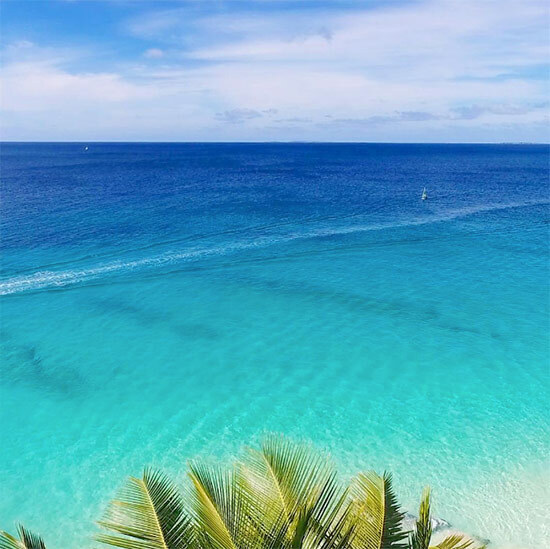 Reflecting in a million different shades of blue, Anguilla's seas never fail to take your breath away. What's new since last time? As of January 1st, 2017, the cost of purchasing real estate in Anguilla has been greatly reduced. Previously 17.5%, stamp duty and transfer taxes have been lowered to 10% for existing structures and 11.25% for raw land. And, an economic residency program is in the works! 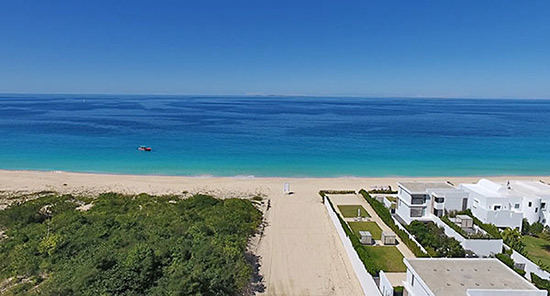 The time is right to buy in Anguilla. 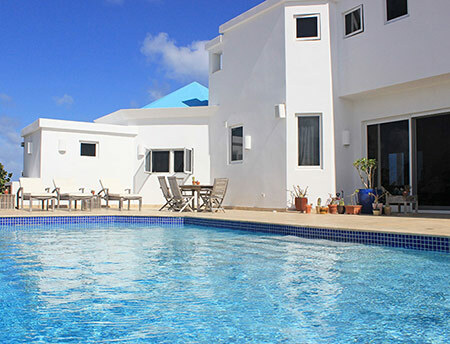 If you are thinking of buying your own piece of tranquility wrapped in blue, click here to see our newly featured villa for sale, Anguilla Beaches Villa. It’s called “Anguilla Beaches” because it’s our own home! hurricane - hurricanes are actually kind of interesting when you’re safe (and we’re safe in this home). One of the worst parts of a hurricane is the lack of electricity for days, even weeks. The combination of no air conditioning and no electrical pump to move water from the cisterns can get uncomfortable. brownouts/short power failures - the entire villa has a power-surge protector in front of it to prevent damage. Beyond that, the generator kicks in within a 5 seconds if it’s more than a brownout (short outages happen). So we’re never without electricity (or Internet, therefore) for more than a few seconds. location - my parents love to keep our house open during the day to hear the ocean. The house catches the near-constant tradewinds, cooling the home and us. It’s also just nice to feel the sea breeze. We rarely use air-conditioning, yet remain cool on the hottest days inland or those shorelines that catch little or no breeze. So if you are planning to rent your villa, this may be the ideal choice for you. 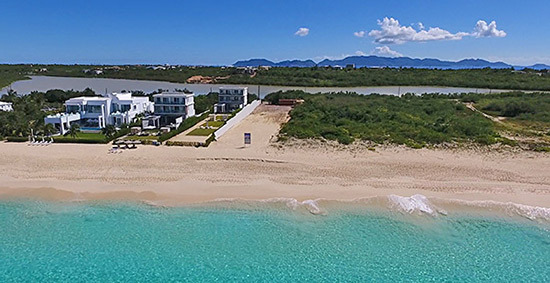 Not only do you benefit from all these features, the villa comes in with a guaranteed, built-in “Return on Investment.” On a fiercely competitive island (over 150 villas), this is a WIN-WIN for all. 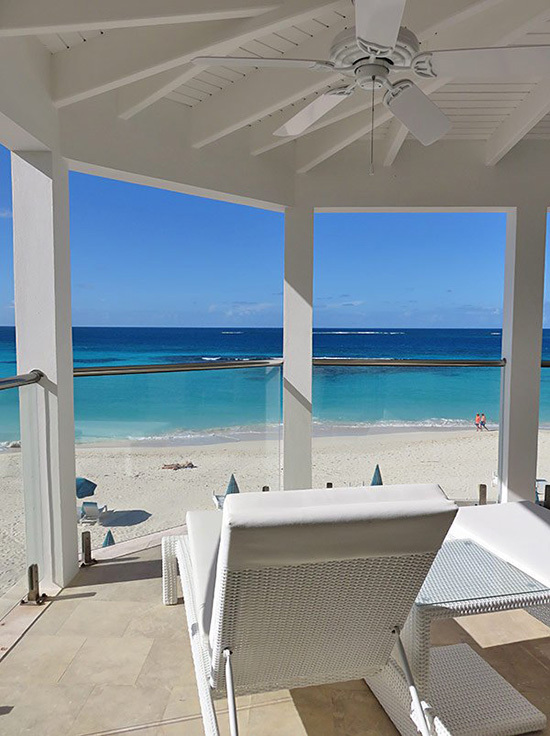 More on Anguilla Beaches Villa. 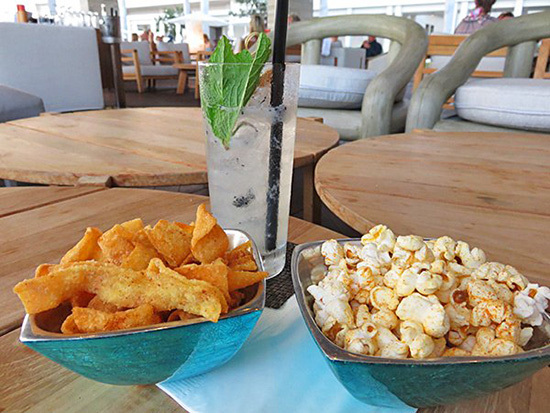 Since its opening in 2009, this chic bar has been the "it" spot. It is the place to see and be seen while indulging in libations and light bites of trendy cuisine. Upgrades have been made to seating (including two brand new bar and lounge areas) and layout and service has been vastly improved. When it comes to drinks, the creativity of the Four Seasoned team of mixologists and bar-tenders breathes new life into the cocktail menu. Innovative and inspired drinks make up the first half of Sunset Lounge's menu. 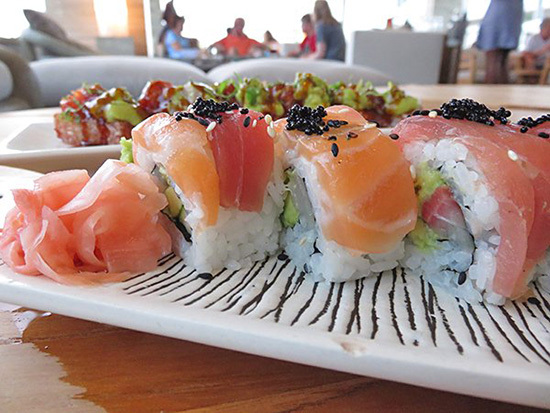 To read the full report on Four Seasons' Sunset Lounge, click here. 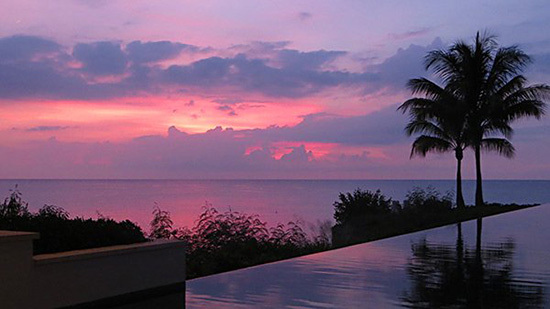 Four Seasons' Sunset Lounge is now an Anguilla Card Partner! 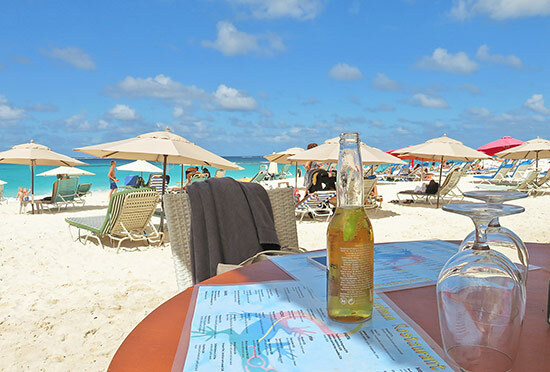 Click here to get your Anguilla Card and save 10% at the Sunset Lounge. 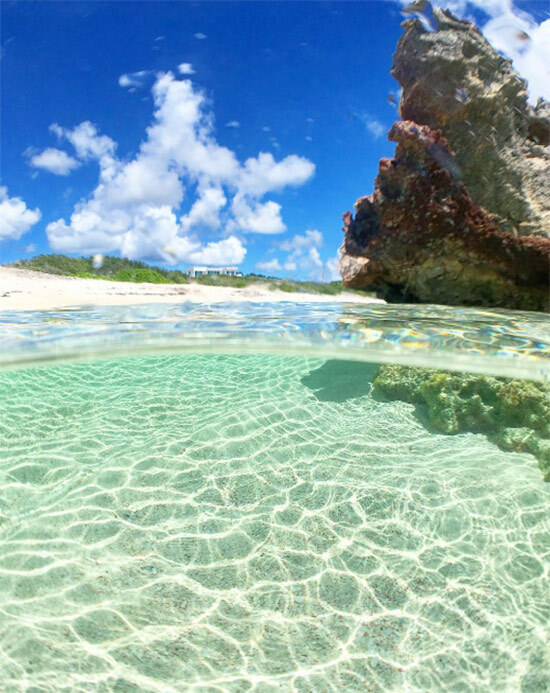 Lit up on the tip of the high cliff that extends into the Atlantic Ocean in Anguilla's West End, Cobà's location is show-stopping. The restaurant boasts a sophisticated-chic interior and an exceptional locally-inspired menu to match. 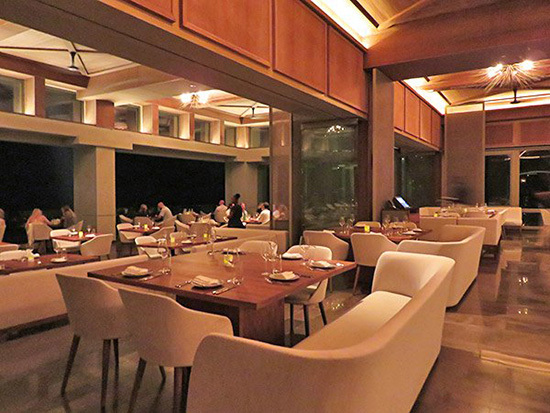 Four Seasons' signature restaurant is, no surprise, one of Anguilla's most grand. Elegance meets contemporary-cool inside Cobà's fine dining room. A vast space dressed in neutral tones, there are few dining rooms of this grandeur in Anguilla. Designed by the renowned Kelly Wearstler, the dining room is a work of art. The furniture is the most striking change in Four Seasons' reincarnation of Cobà. Trendy but uncomfortable furniture has been replaced with cushiony and classic pieces of muted tones. Four Seasons has expanded on the open-air dining concept. The north and east windows are entirely open. The result? 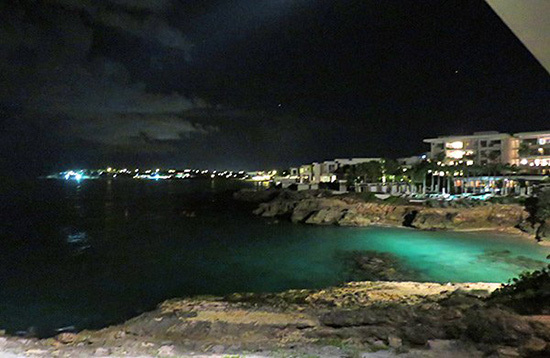 A constant gentle ocean breeze and an uninterrupted view of the Atlantic Ocean and Meads Bay's lights in the distance. The wine selection is sure to delight any aficionado and the appetizer menu is seafood-rich. 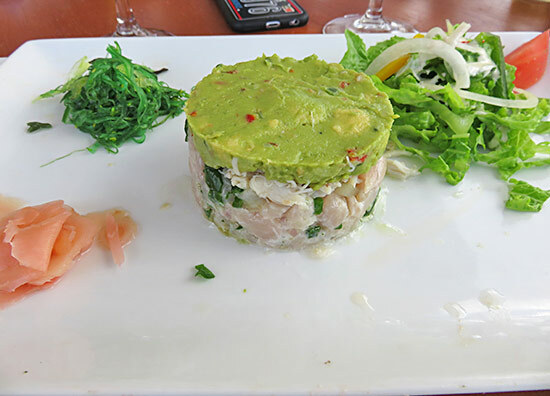 Seafood plateau (of oysters, Anguillian lobster, shrimp and mango mignonette), Anguillian salt fish croquettes, crab cake and char-grilled octopus are followed by a selection of soups, salads and ceviches. When it comes to mains, Cobà specializes in grilled seafood and meats. Entrées are broken into two sections. The dishes from "the grill" and the specialty dishes. The "grill" features a plethora of seafood and meats. Local catches (snapper, mahi mahi, crayfish and lobster) are offered alongside a number of imports (grouper, salmon, 16oz. New York strip loin, Kurobata pork chop). They are served with your choice of sauce. Sides are ordered separately. The diver scallops called my name. With the lemon-caper butter sauce and the gremolata's lemon and garlic, it is a match made in fresh seafood heaven. 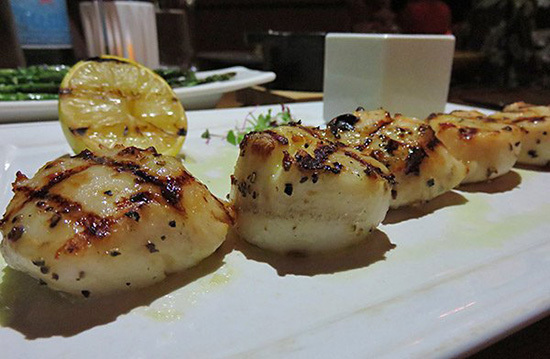 In addition to the "grill" menu, there are a number of more creative specialty entrées. My sister went with the 8 hour braised short ribs. With a weakness for Sunset Lounge's 12 hour braised short rib, she could not pass up another bite of Four Seasons' cooked-to-perfection dish. 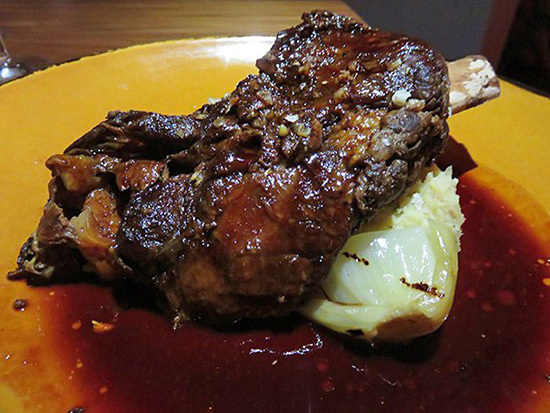 Falling off the bone, Cobà's short rib lives up to the high bar Sunset Lounge has set. A note on service: Service is now exceptional at Cobà. In-line with Four Seasons' high standard, and as at the resort's other restaurants, service is attentive, efficient and warm. The staff goes above and beyond to satisfy your every wish. Four Seasons has breathed enthusiastic, first-class service into all of their dining experiences. For more on Cobà, click here. 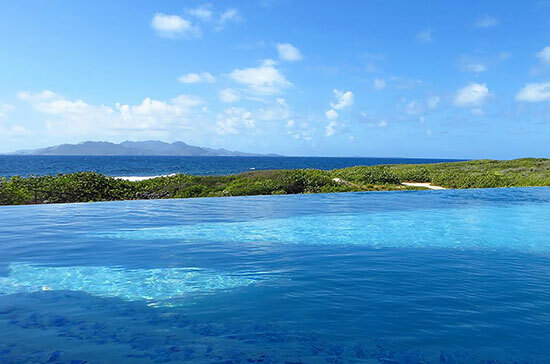 Four Seasons' Cobà is now an Anguilla Card Partner! 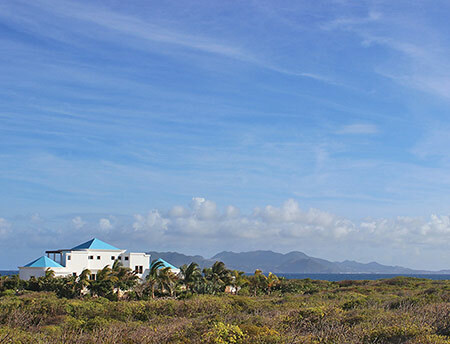 Click here to get your Anguilla Card and save 10% at Cobà. A boutique property, Manoah offers 31 rooms total. 22 of the rooms are set inside the hotel's main building, which stretches 6 stories high. 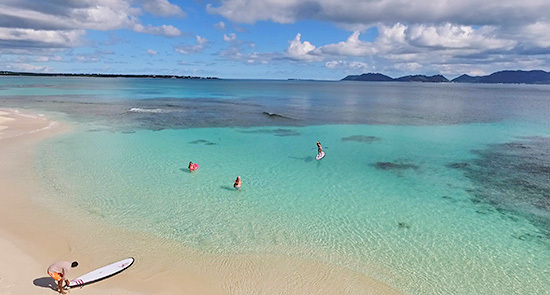 The remaining 9 rooms are directly on the sands of world-famous Shoal Bay East. Beautiful in every way, step inside Manoah here. 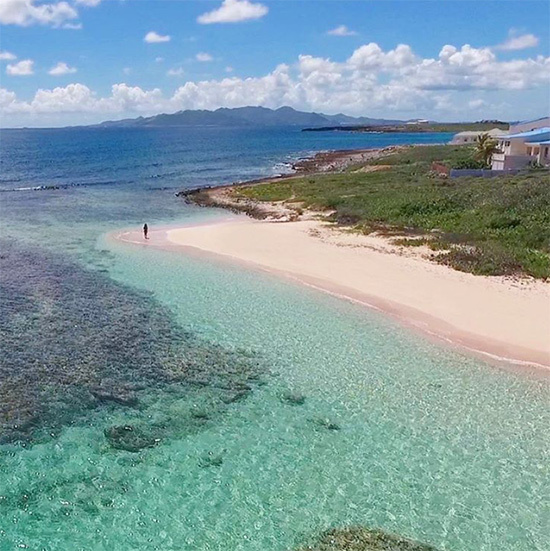 More good news from Shoal Bay East: After suffering great damage from the fire a couple of months ago, Madeariman has re-opened! Better than ever, the new Madeariman is complete with a wider deck space and now they even offer live music on Saturday afternoons with 264 String Band! With reliably excellent eats on the menu and a jovial atmosphere, join me in saying a big "Congratulations & Welcome Back, Madeariman!" Full update on the new Madeariman coming soon. 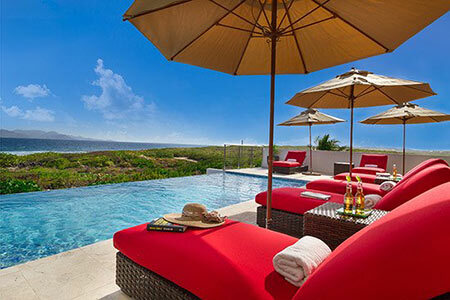 The villa that offers it all, Tequila Sunrise Villa never ceases to impress! 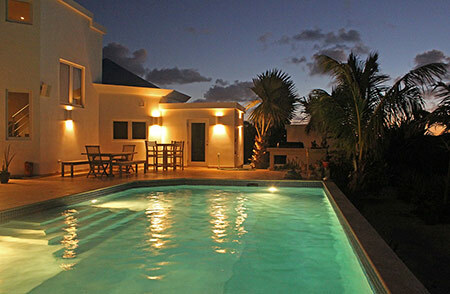 Tequila Sunrise Villa features 3 bedrooms, each complete with a luxurious private bathroom. The design is modern, the rooms spacious, each with views looking out to St. Martin and the clear Caribbean Sea, flat screen TVs and air conditioning. More on Tequila Sunrise Villa. 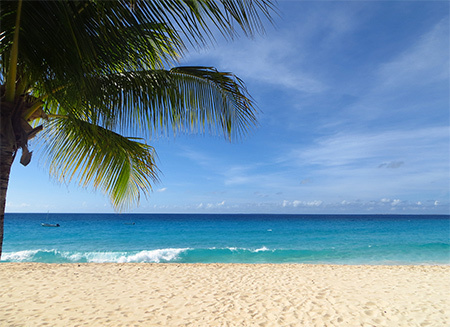 Spring and summer is a beautiful time to be in Anguilla! 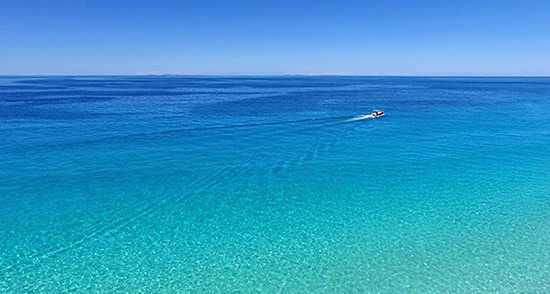 Sparkling-clear seas, beaches to yourself and no need for restaurant reservations... in a word, it is bliss. This spring and summer Carimar is holding two terrific specials. Save up to 19% in the spring and 24% in the summer. See below for details. Or click here for more on Carimar's specials. 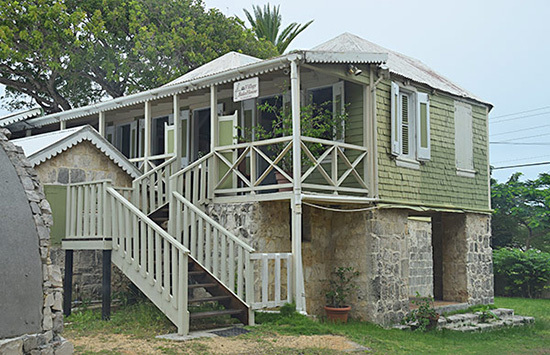 The ancient stone rock exterior and the inviting aroma of freshly baked goodies lure you into Anguilla's French bakery with a historic background. 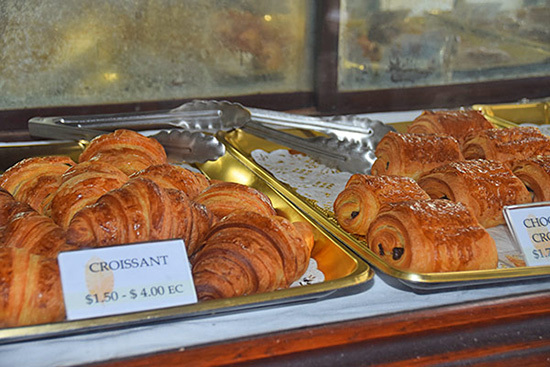 Owner and award-winning pastry chef, Pascal Baronnier's pastries fiddle with your taste buds mercilessly, as you journey up the dark wooden staircase that gives way to the main entrance of Village Bakehouse. 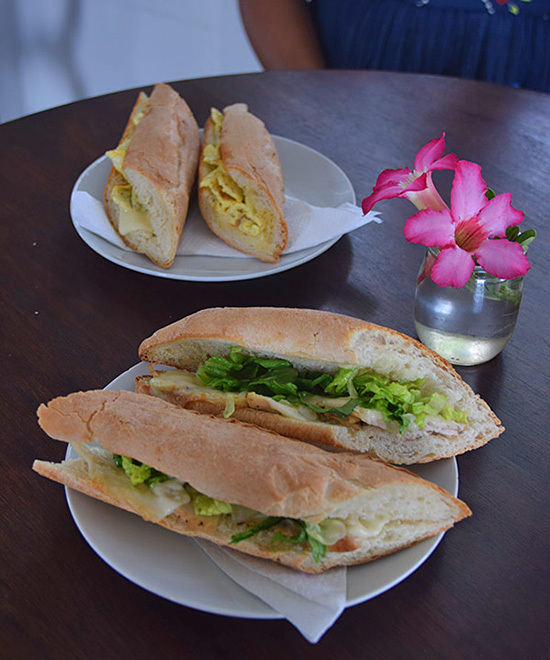 ... promise that this bakery will continue to grow to become one of the most popular breakfast and lunch spots in the heart of Anguilla. When it comes to healthy and environmentally-conscious living, CuisinArt Golf Resort & Spa is an industry leader, well ahead of the curve region-wide. Not only does the resort have a 3300 panel solar energy plant, they have also long grown produce on-site in their hydroponic gardens. Thanks to their rich hydroponic gardens, now Venus Spa is offering a complete farm to spa experience! A finely set table lays out two types of salts, a variety of aromatic bath gels and essential oils, and fine herbs. The mission? Create your custom body scrub or bath salt. 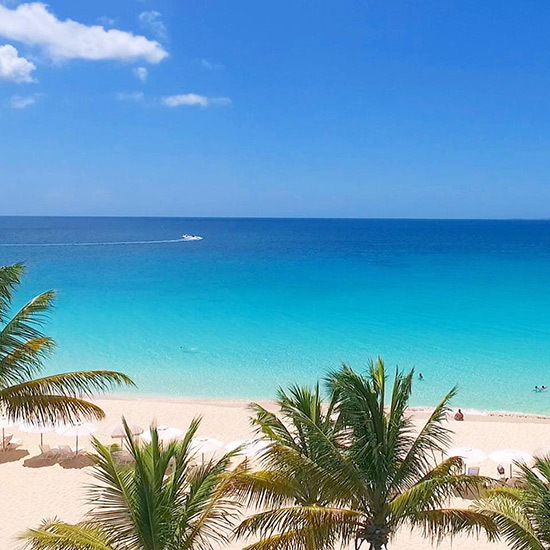 Exfoliating becomes a ritual here in Anguilla as you spend an excessive amount of time soaking up the warm Caribbean rays. The body scrub is an excellent choice! Tomika takes 1 cup of fine sea salt (the coarse sea salt is used for bath salts) and asks you to choose a bath gel to add to the creation. Next? Herbs. This is where the selection gets interesting. 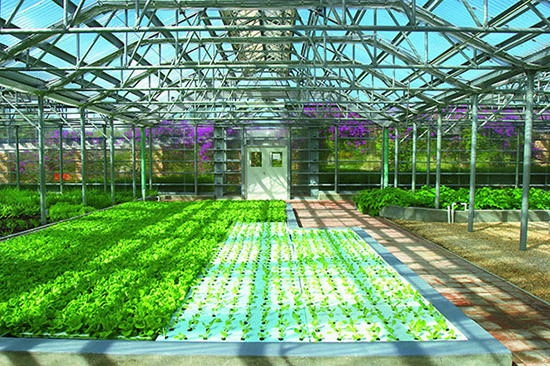 All herbs are grown in CuisinArt's hydroponic garden. They are then dehydrated and ground down for spa treatments. 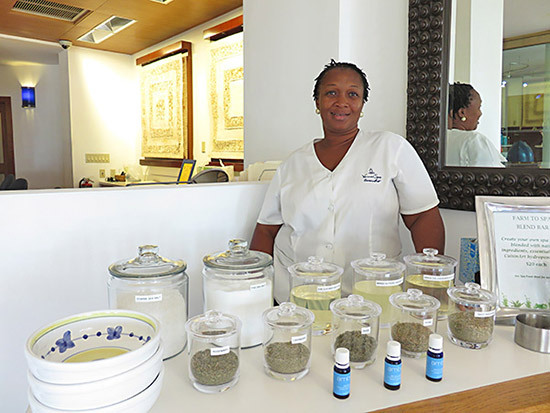 A fresh touch to the Venus Spa experience! Selecting your herb can get difficult with a plethora of enticing choices. Never worry, though. You can mix different herbs together. The sweet marjoram and lavender were my picks of the day. 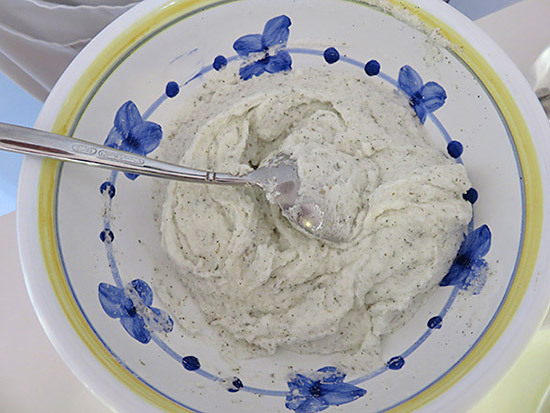 Tomika added the sweet marjoram and lavender to the dry, crumbly salt and bath gel mixture. "Will this turn into a bath scrub?" I asked incredulously. Tomika laughed, "Yes! Now we mix!" The result? 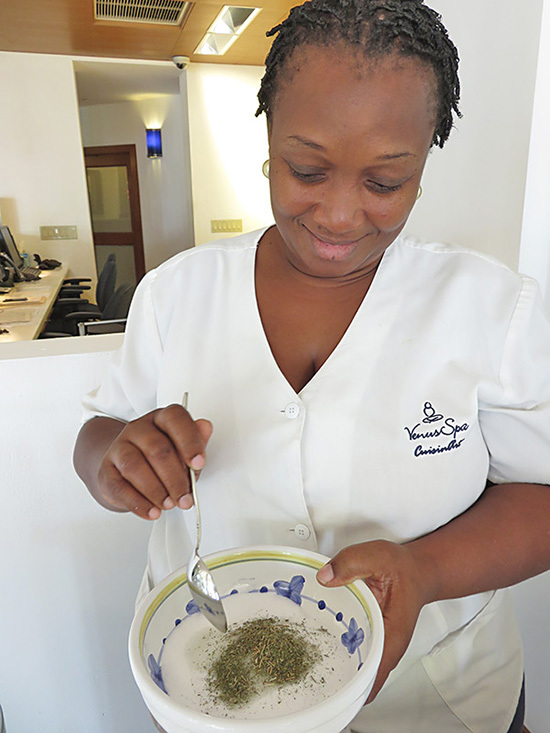 A luxurious body scrub that makes a wonderful Anguilla souvenir! Full Venus Spa Blend Bar report here. 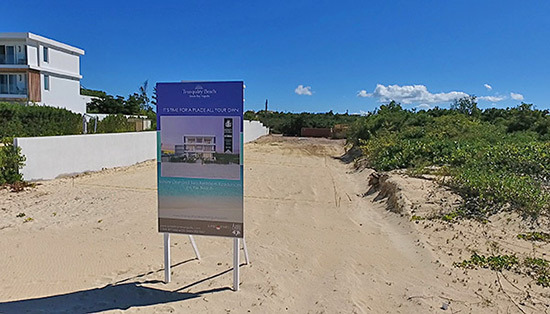 Meads Bay's luxury real estate development, Tranquility Beach's first phase, Signature Suites is getting mobilized! 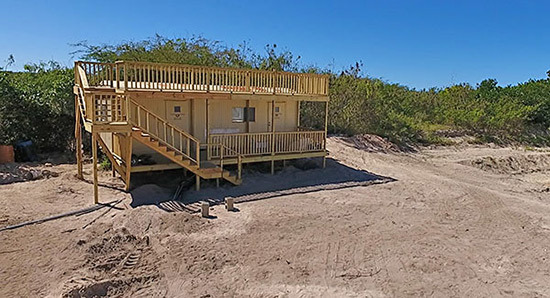 By Ian "Sugar George" Edwards of Sunset Homes and Neil Freeman of Aries Capital, Tranquility Beach is now open for site visits and tours. Make a deposit on your condo before Mar. 31, 2017 and receive a 5% discount. Tranquility Beach's luxury condos begin at $750,000. The 5% discount results in over $35,000 in savings. 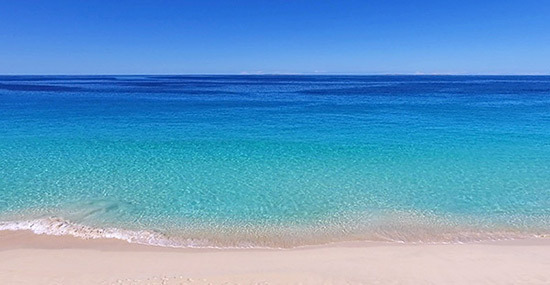 To make an enquiry, visit Tranquility Beach's official website here. 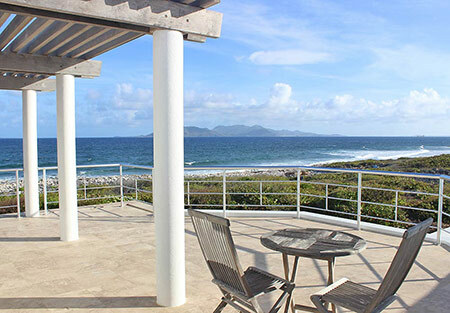 Or, email info@sunsethomesanguilla.com. Last but certainly not least, if you will be in NYC this weekend (Jan 28 and 29), Carimar and Twin Palms Villas will be at the highly acclaimed New York Times Travel Show! To win tickets, click here for details. 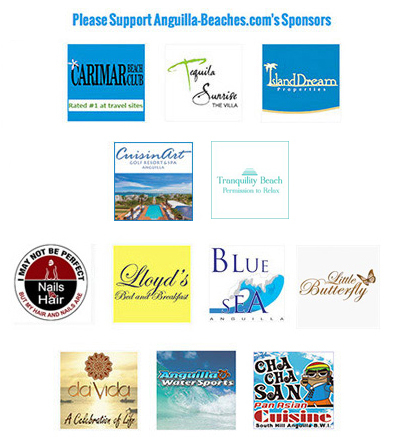 Do you have your Anguilla Card yet? Save 10% at 80 Partners!